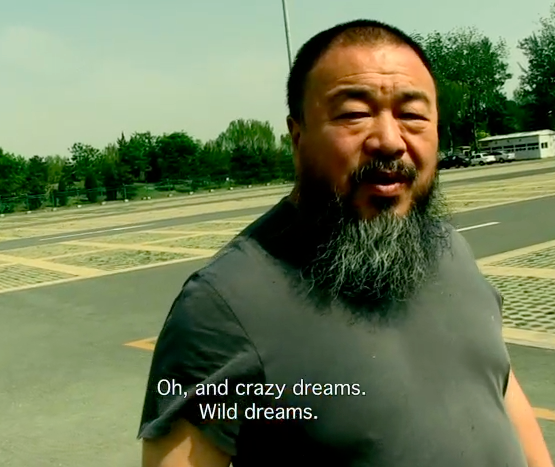 Ai Weiwei has backed the new Digital Arts website The Space which will commission and showcase new art online for website visitors. The artist has also donated the names of 5,196 student victims from the Sichuan Earthquakes in 2008, in the hope that The Space will use them to create a new work. “It gives another opportunity and a platform for artists or somebody like me to work with. I believe many, many young people and students will love it,” Ai says. This entry was posted on Tuesday, June 17th, 2014 at 5:16 pm	and is filed under Art News. You can follow any responses to this entry through the RSS 2.0 feed. You can leave a response, or trackback from your own site.